The ONE Campaign has released new videos of Grammy award-winning artists Sting and will.i.am, performing the songs "Driven To Tears" and “It’s a New Day” respectively, as part of the agit8 campaign to raise global awareness about extreme poverty. The artists join more than 50 musicians – including Usher, U2, Mumford and Sons, Ed Sheeran, Bruce Springsteen, Macklemore & Ryan Lewis and others – who have released classic protest songs in an effort to highlight the power of music to change the world. will.i.am’s new version of ''It’s a New Day'' was recorded in a studio in London, while Sting’s rendition of "Driven To Tears" was filmed on his Back to Bass tour at Chastain Park Amphitheater in Atlanta. 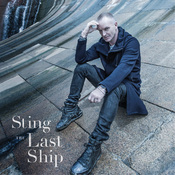 Check out Sting's video at http://bit.ly/1cpu0eU and will.i.am's clip at http://www.youtube.com/watch?v=-03bHYiPRaQ. To see all the agit8 videos and learn more about the history of protest music, visit agit8 online. Co-founded by Bono and strictly nonpartisan, ONE is a campaigning and advocacy organization of more than three million people taking action to end extreme poverty and preventable disease… because the facts show extreme poverty has already been cut in half and can be virtually eliminated by 2030. Learn more at ONE.org.